The epitome of sophistication, Prestige finds the parallel divide in the intricacies of goldtone symmetry. 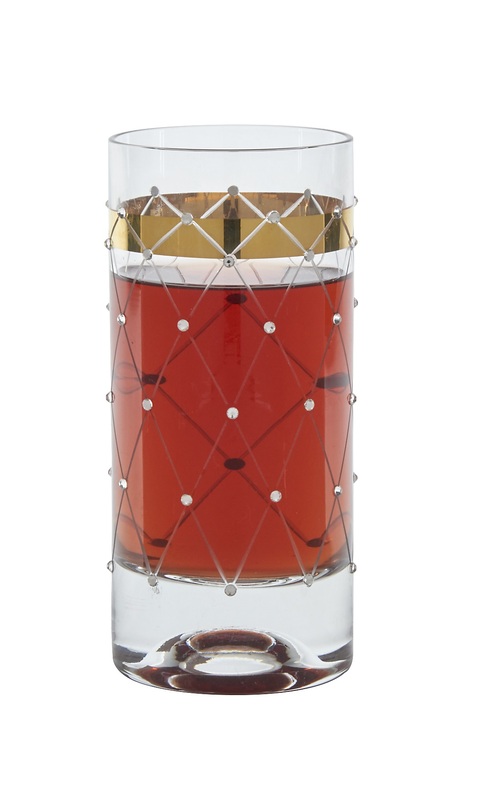 Diamond cut precision ensconced the effortless simplicity of lines and dots that form endless connections around the glass domes and goblets that are enhanced by three dimensional hand finished stones. 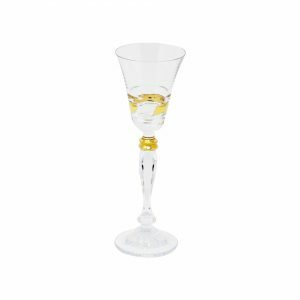 Prestige stemware are made of durable rhenium glass, with thick gold accents and a most refined outline. 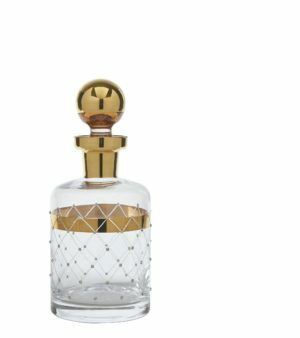 Great for venues that are modern, transitional and traditional, Prestige is a timeless classic that makes a great gift for every hostess. 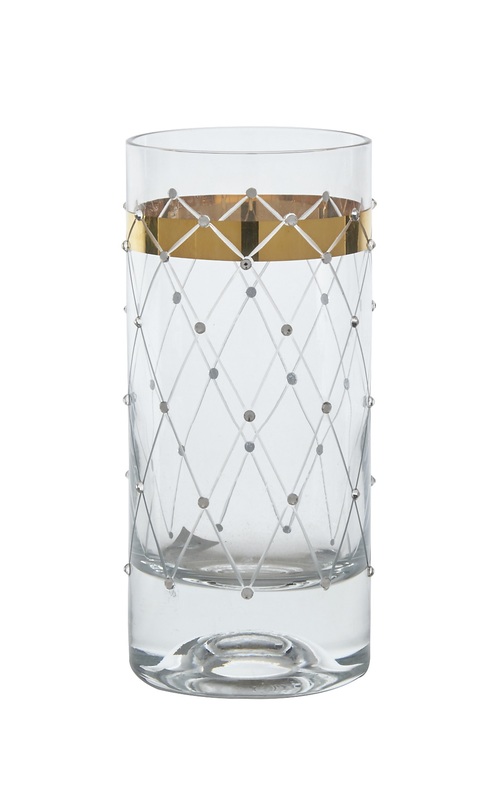 In a variety of sizes and uses, each item of Glazze’s Prestige collection is a style icon for fine dining. 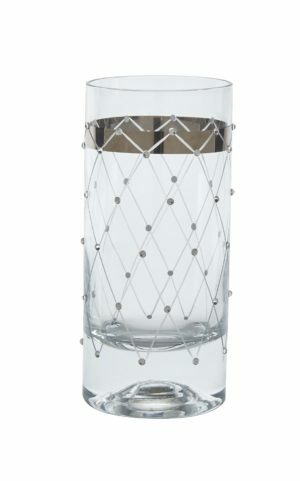 The combination of diamond shape and diamante detailing makes Prestige a frontrunner in serveware and barware. 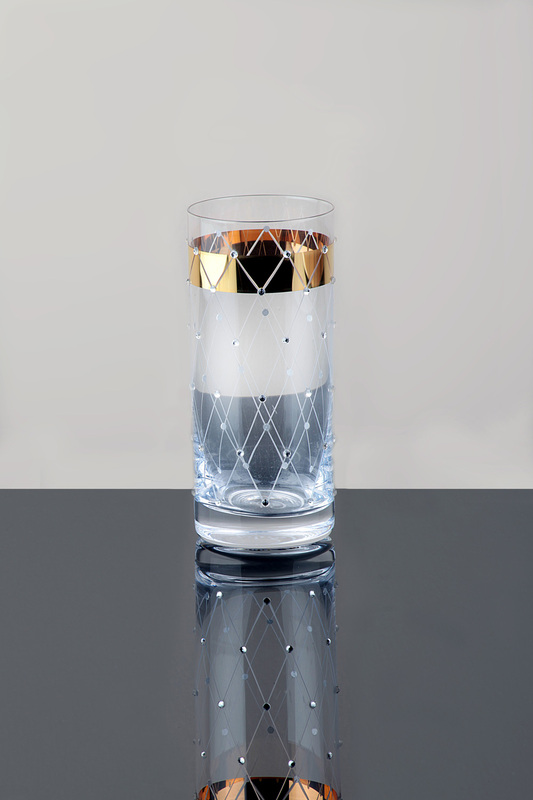 Even something as basic as a water glass can be designed to epic standards. Redefining the traditional tumblers, Prestige takes the water glass and gives it the glamorous vibe it deserves.